Innovation and market disruption can be powerful forces for economic growth. But government involvement in the market tends to be a force against disruption, and hence a force against innovation. The drive to protect the dominant companies – often justified in the name of job preservation — prevents success for companies that offer better, cheaper, or different products or services. 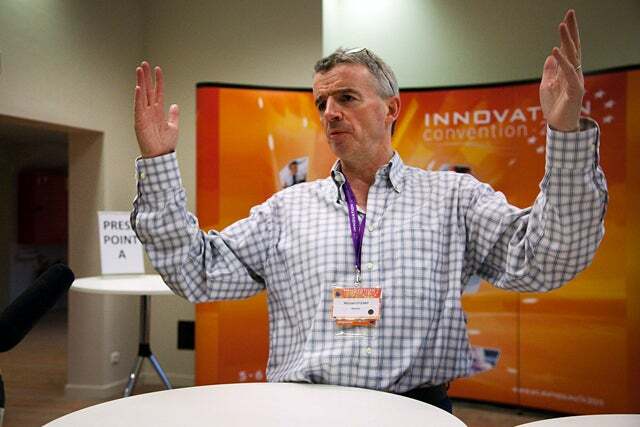 The European Union received a frank lesson in these economic truths when it brought Ryanair CEO Michael O’Leary to speak at its recent innovation convention. In a rousing and thoroughly entertaining speech and subsequent Q&A, O’Leary roasted the European Commission’s attempts to protect Europe’s major airlines, often at the expense of innovation in the industry. Ryanair is renowned in Europe for its low-cost flights, and its unconventional pricing structures. The airline was the first on the continent to charge for checked baggage. It has even begun charging passengers for the use of in-flight restrooms. But O’Leary insists that the company satisfies customer demand by providing the cheapest flights around. An average 1.5 hour flight across Europe costs a Ryanair passenger 50 euros, or about $65. Large competitors such as Air France and British Airways charge six to seven times that amount, O’Leary noted. “Lower prices beats higher prices every time,” adding yet another jibe at the commission’s taxpayer-funded junkets on Europe’s more expensive airlines.